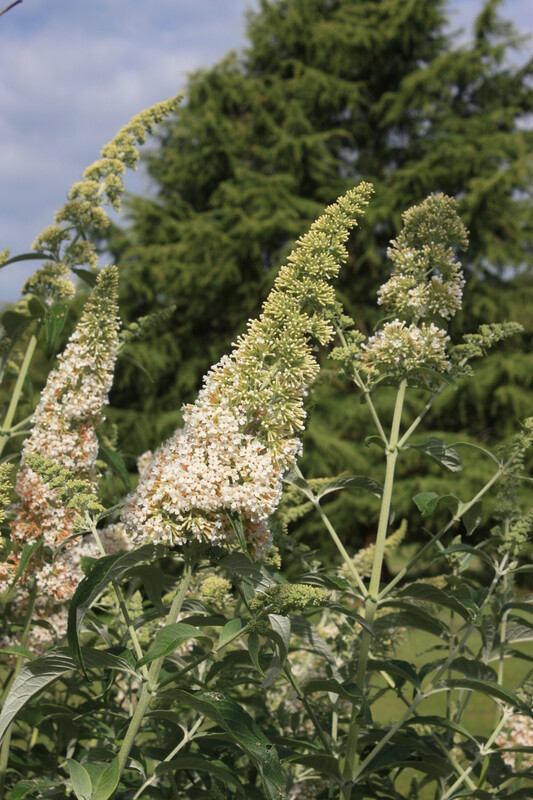 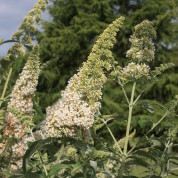 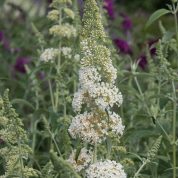 Buddleja davidii ‘White Profusion’ is probably the most popular of the white cultivars and still regarded as one of the best. 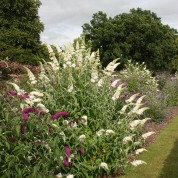 Accorded the RHS Award of Garden Merit (record 681) in 1993, the award was reaffirmed in 2010 at the conclusion of the 2008-2010 Buddleja cultivar trials at Wisley. 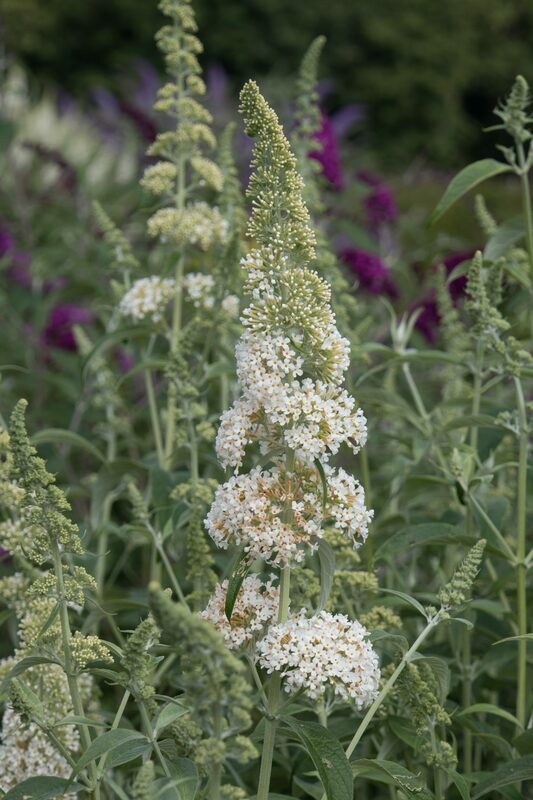 The arching stems bear large 30-35cm long, dense panicles of pure white flowers. 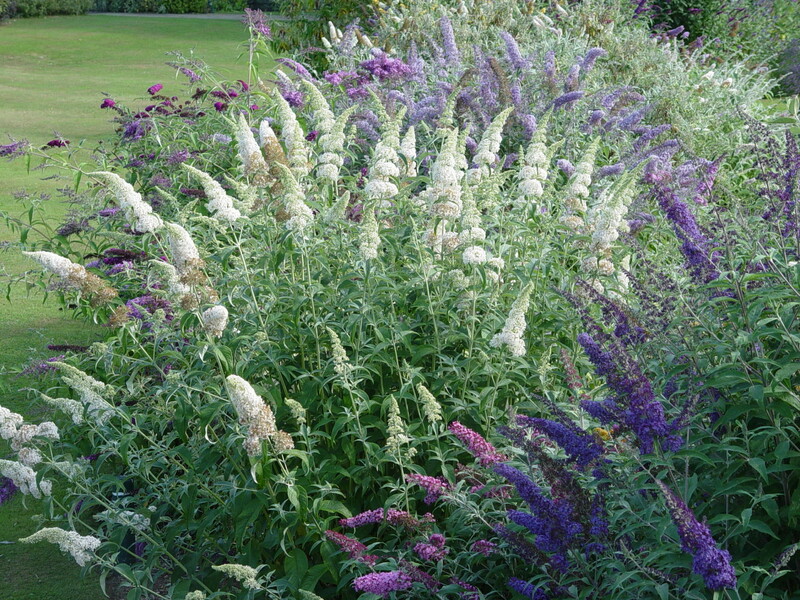 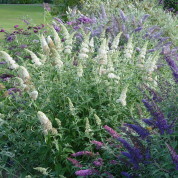 I consider it one of the best; it will flower from mid-July until the end of August, if dead-headed regularly. 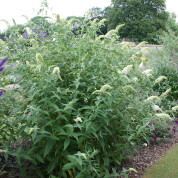 This cultivar was introduced to commerce in 1945. 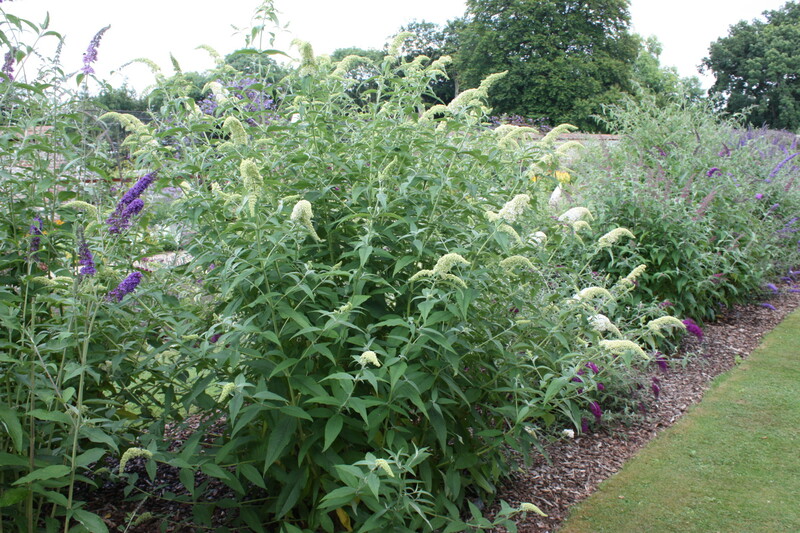 If anyone is able to provide any information on the origin please contact us. 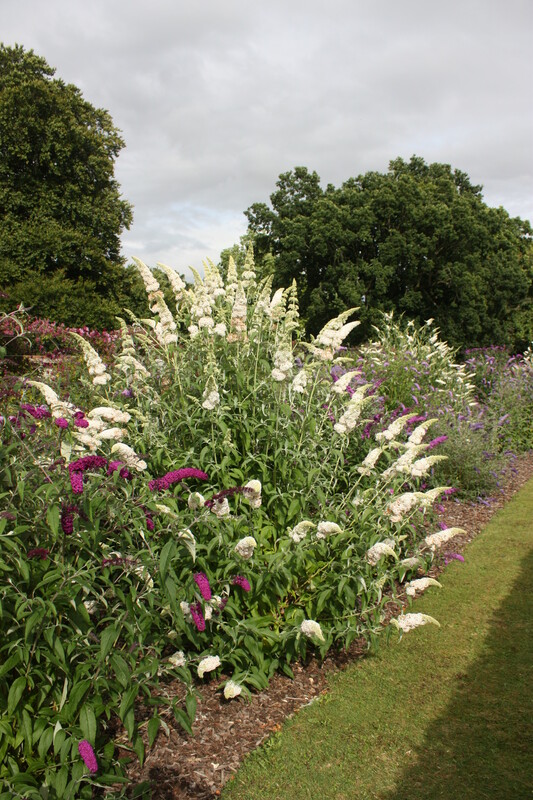 All details of our collection are held on the main Plant Heritage database including plant name, accession number, date of accession and plant source.